As you are aware, my PVT message has long been encouraging each member to initiate personal actions and take ownership of the future of our art in ways that can help support its long-term preservation. 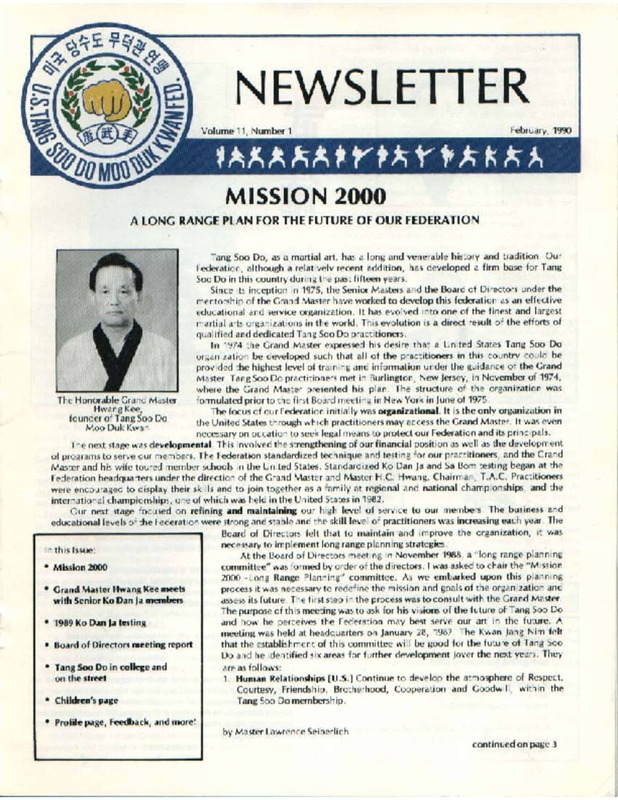 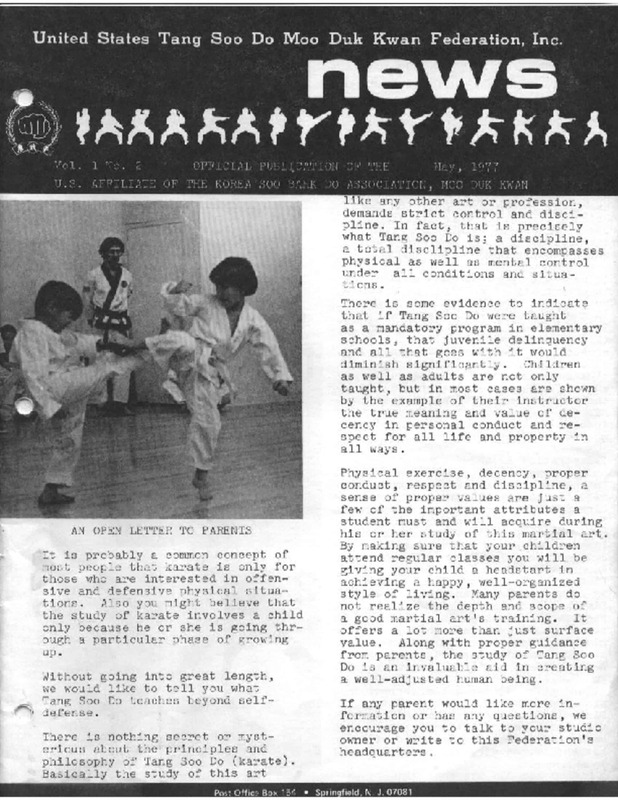 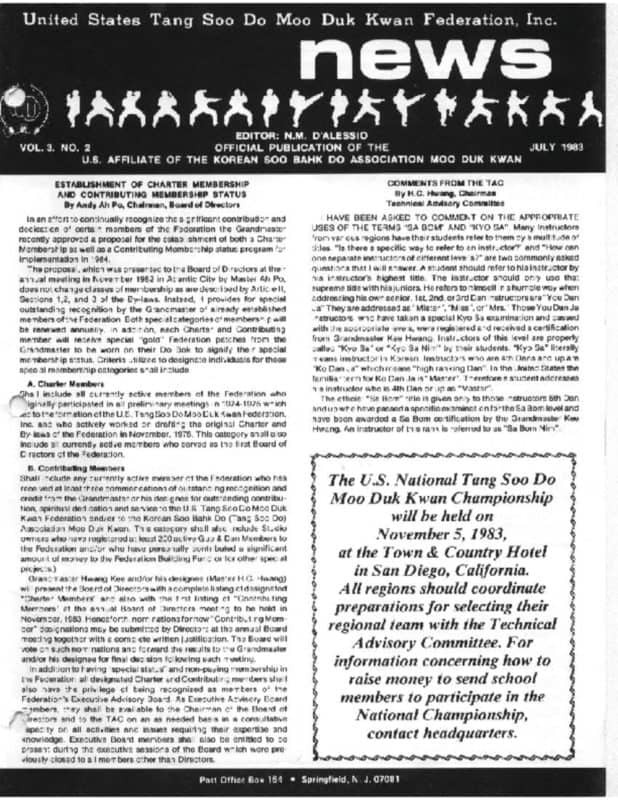 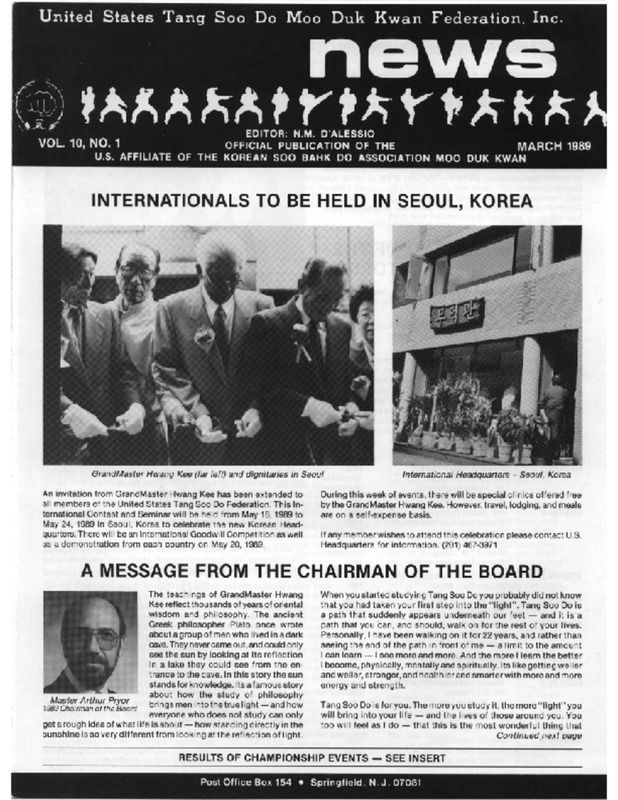 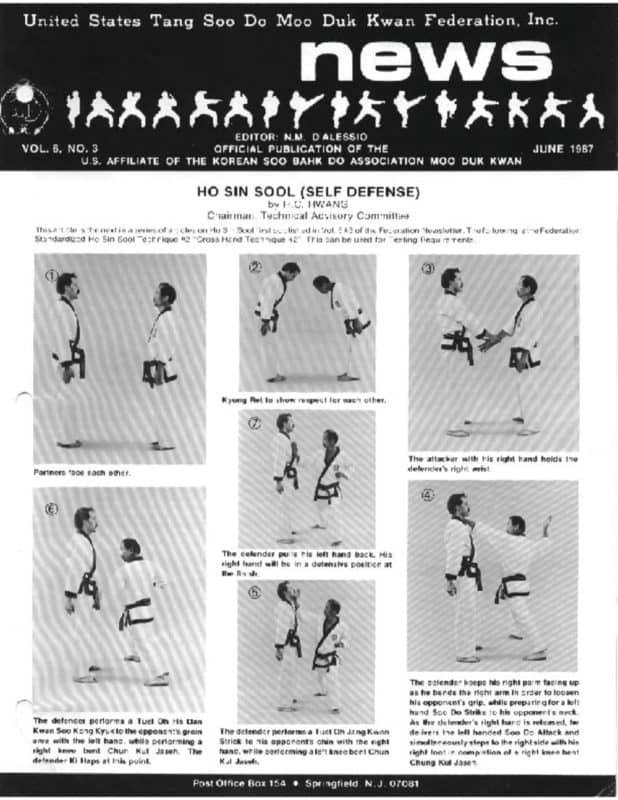 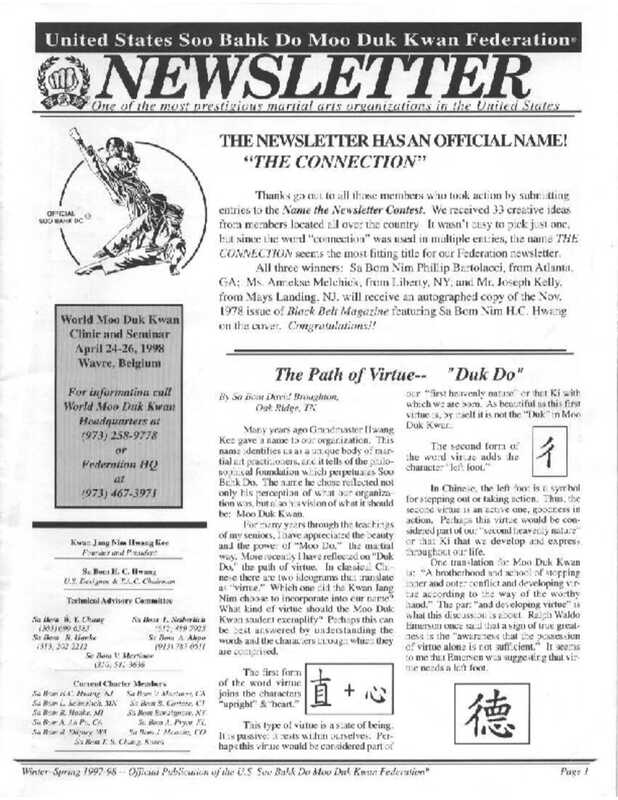 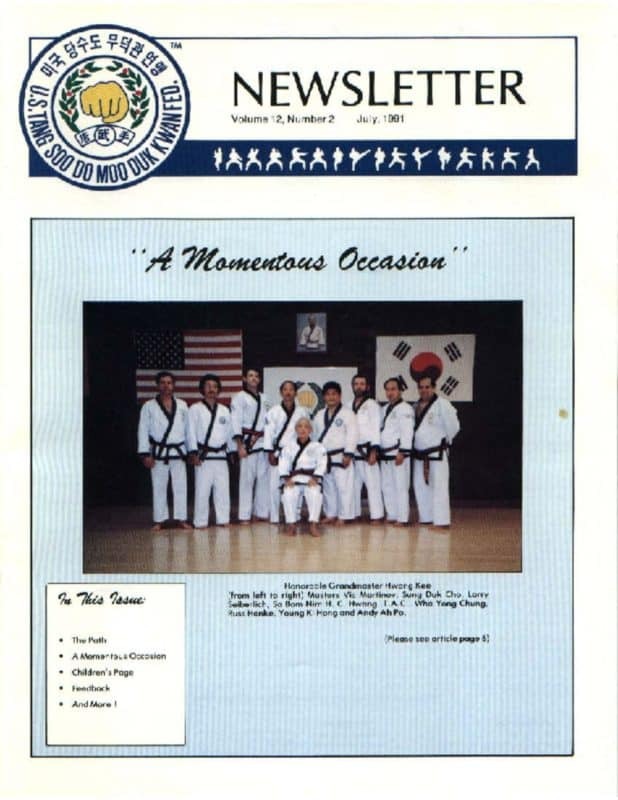 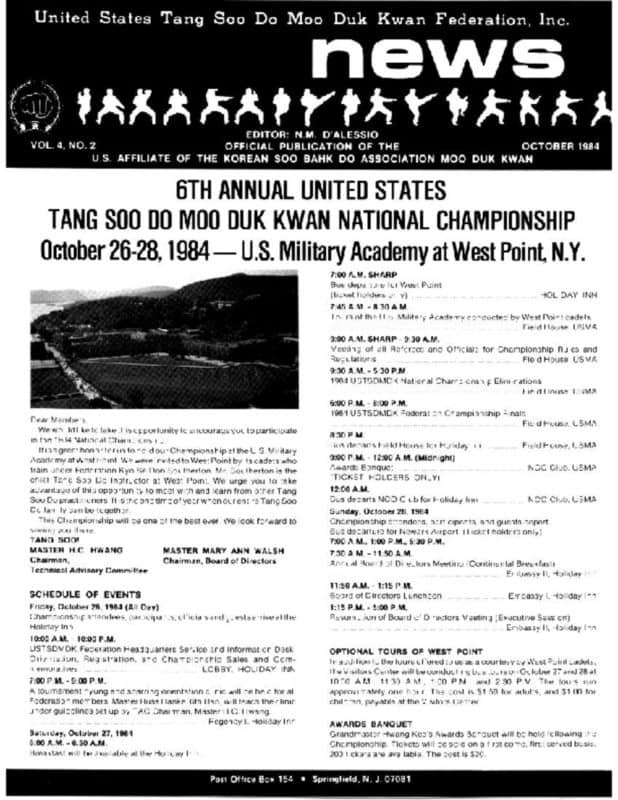 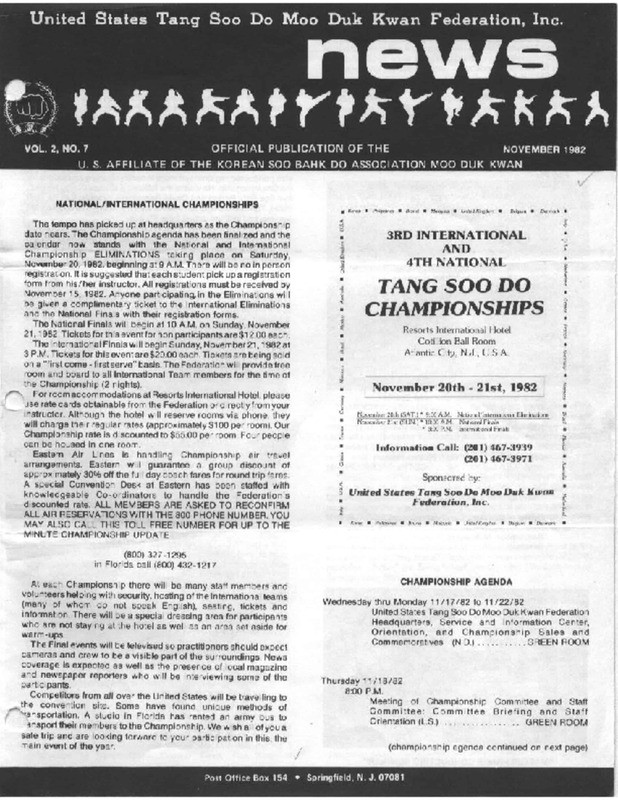 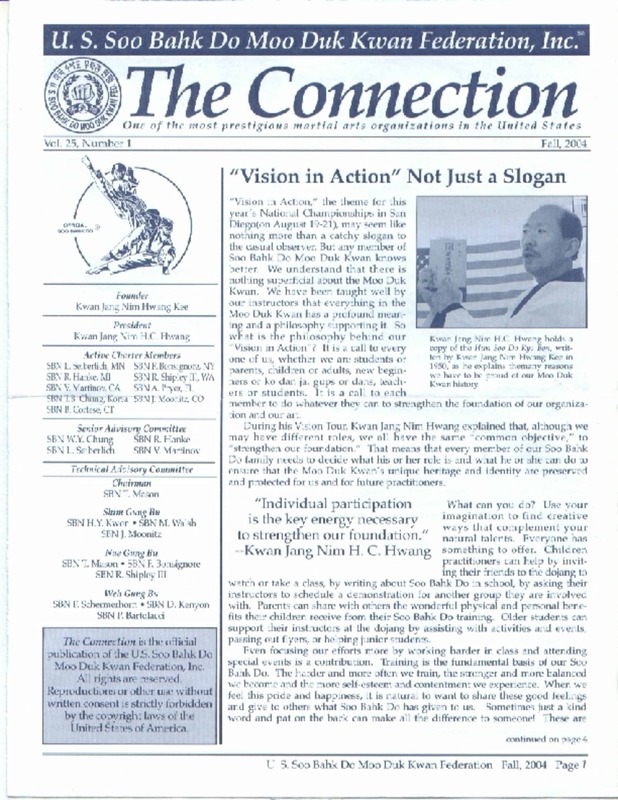 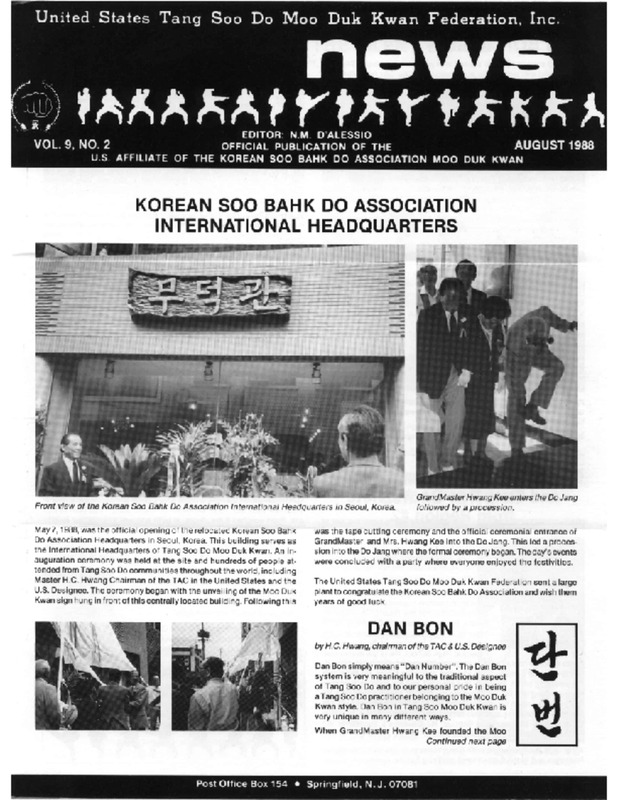 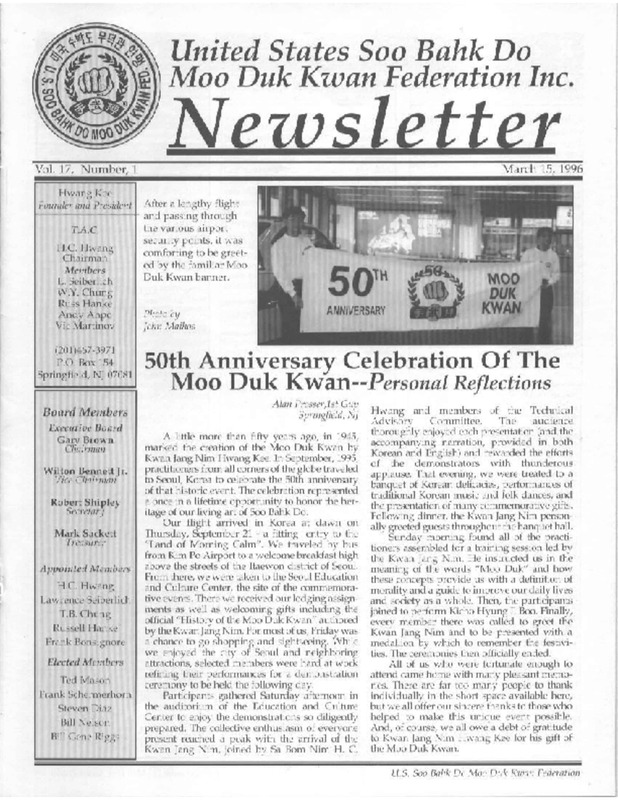 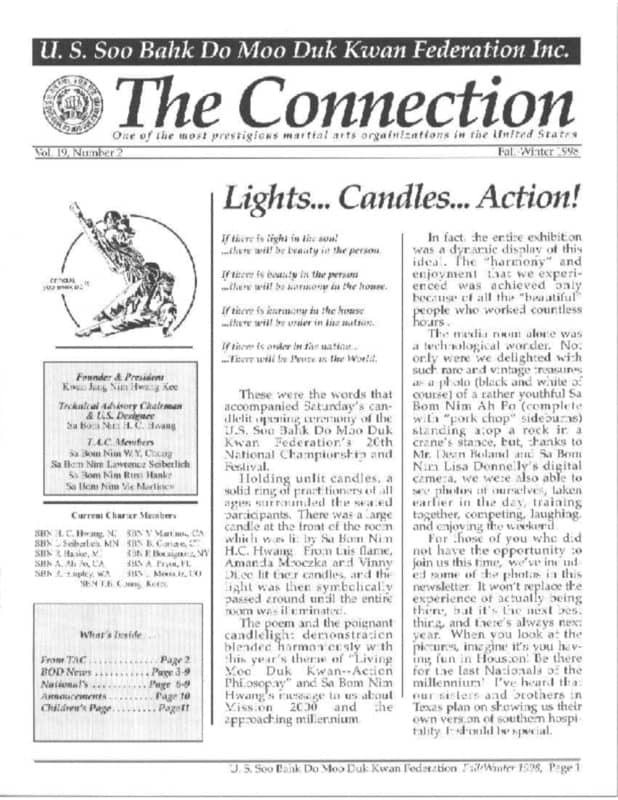 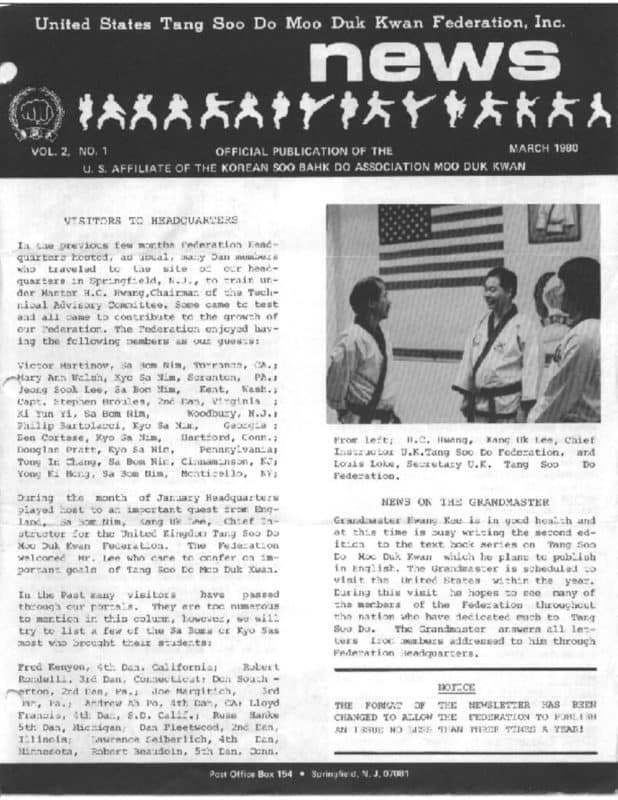 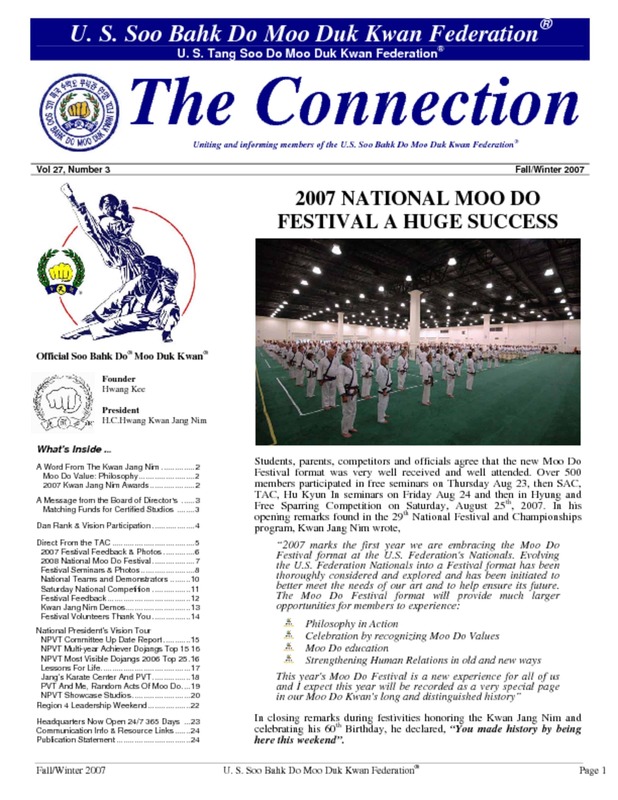 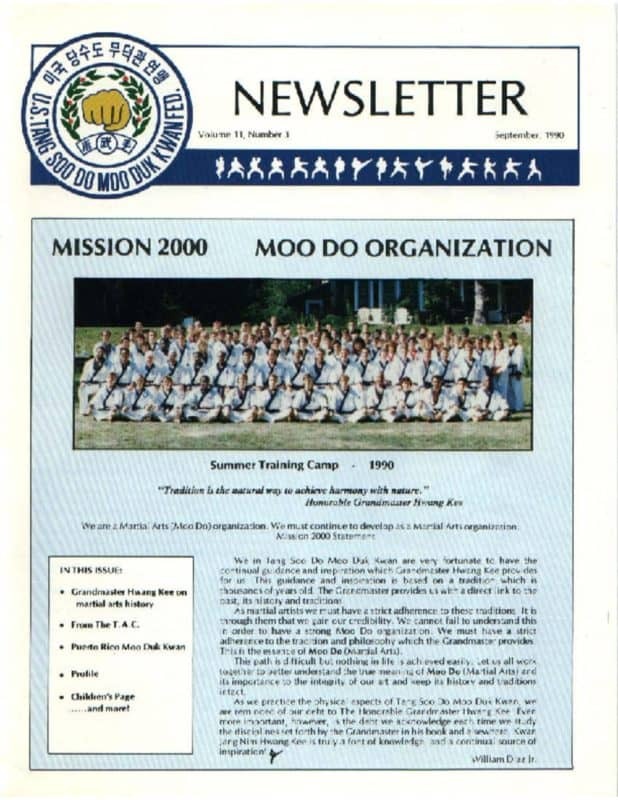 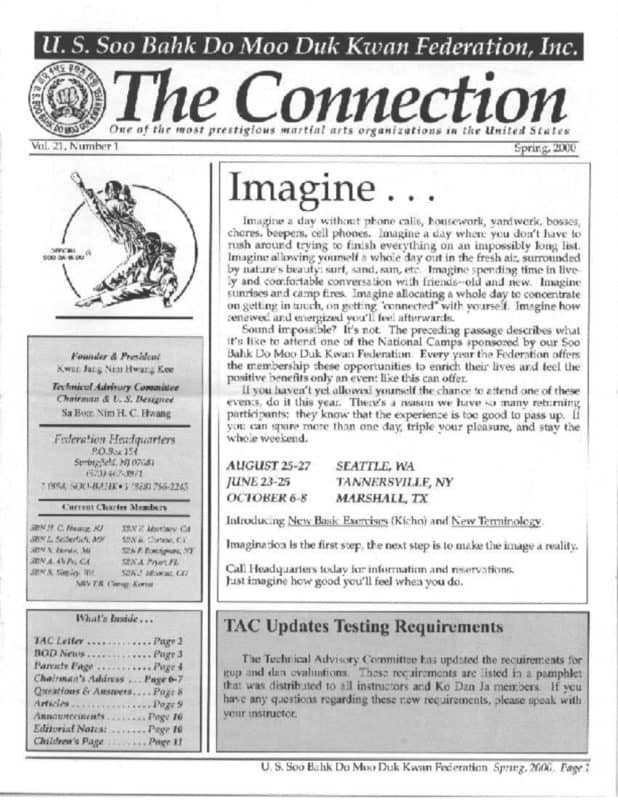 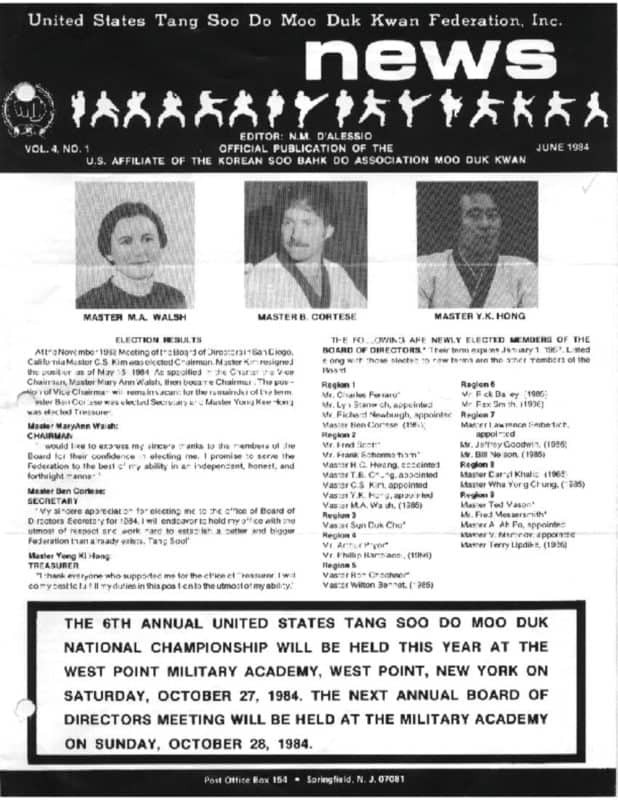 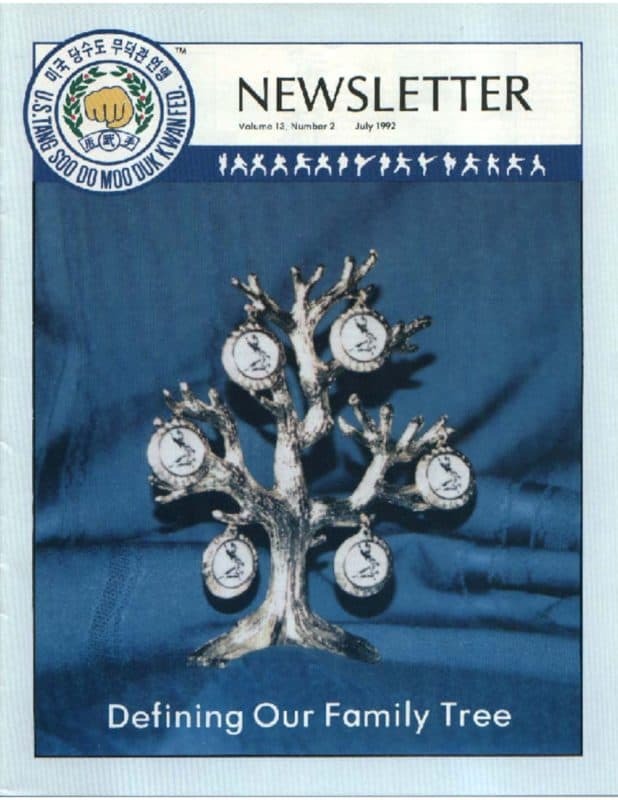 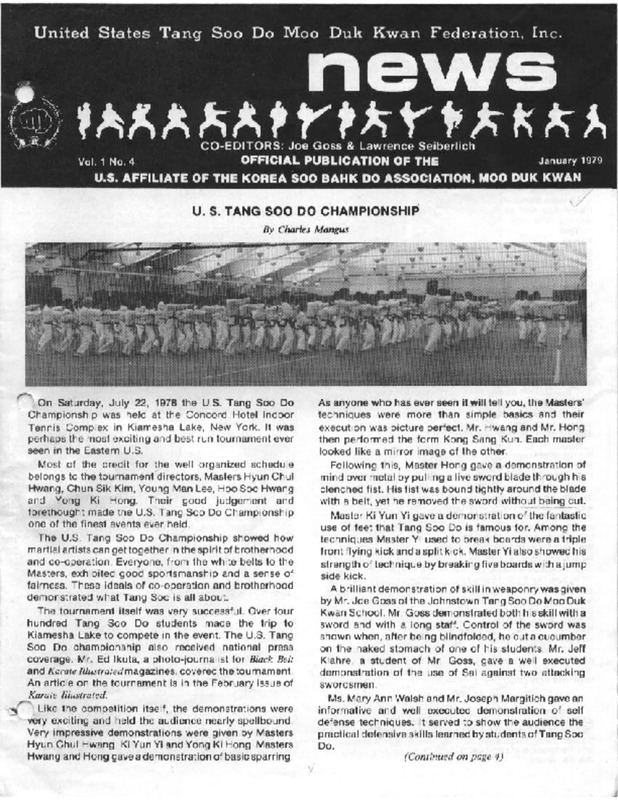 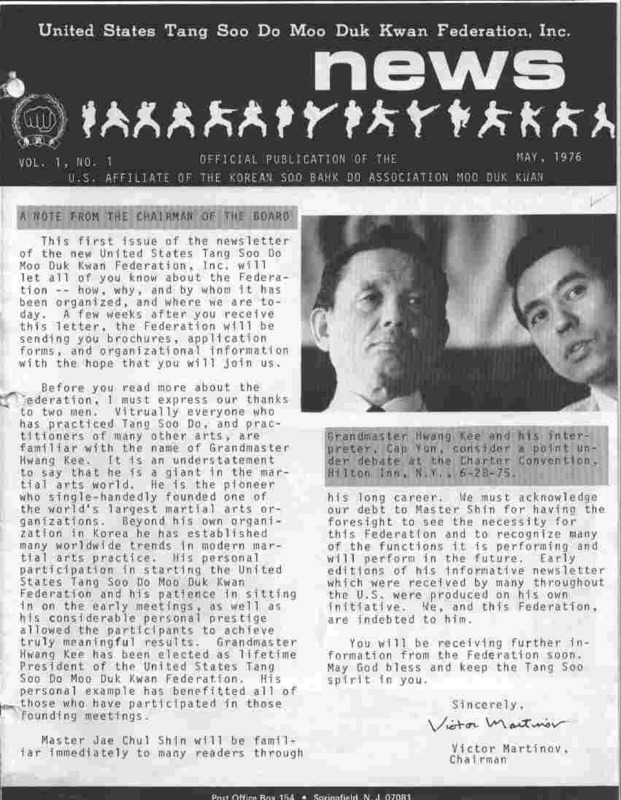 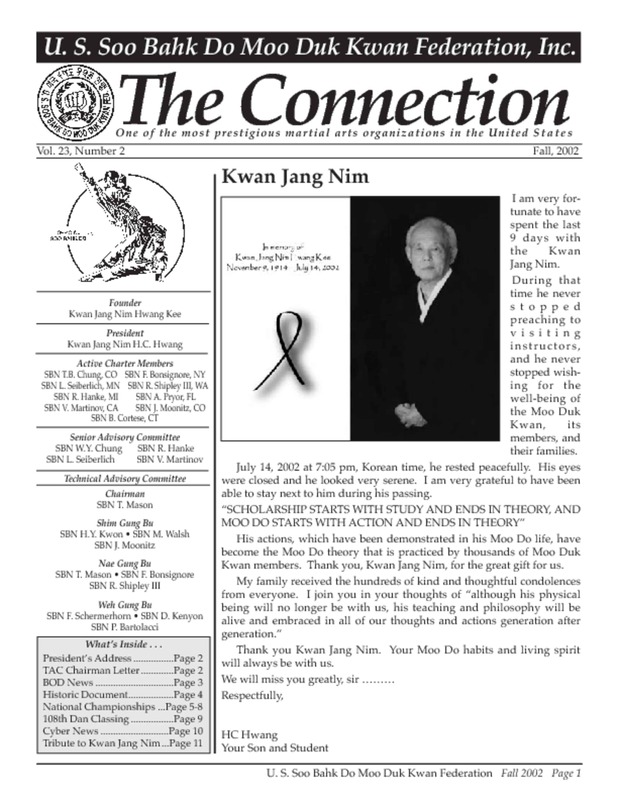 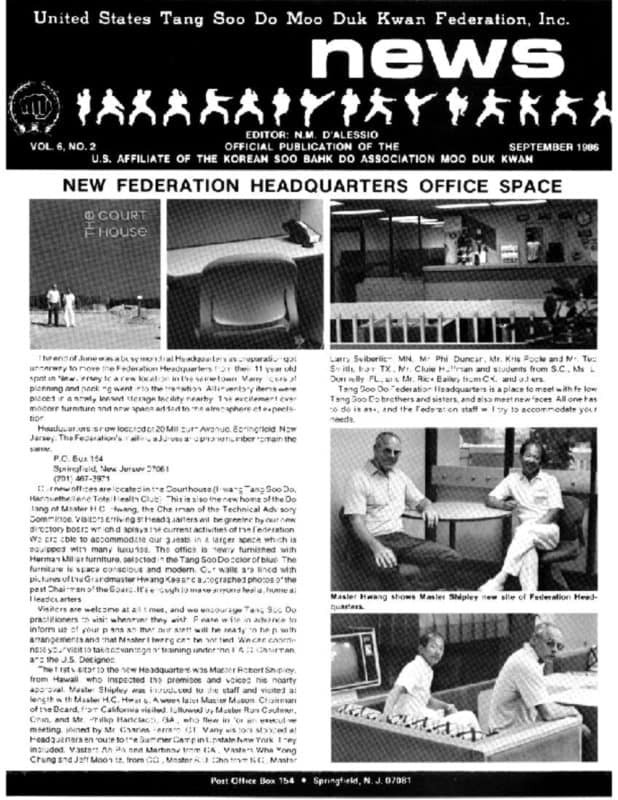 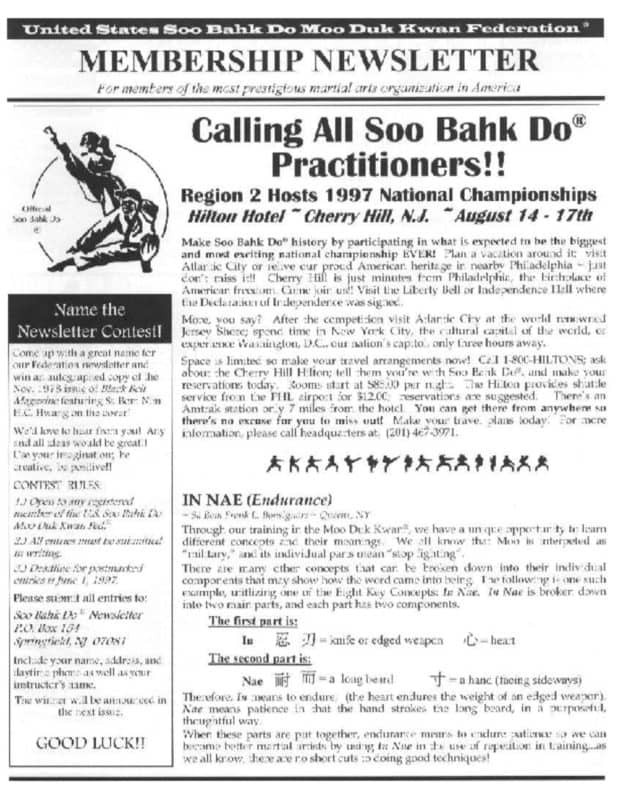 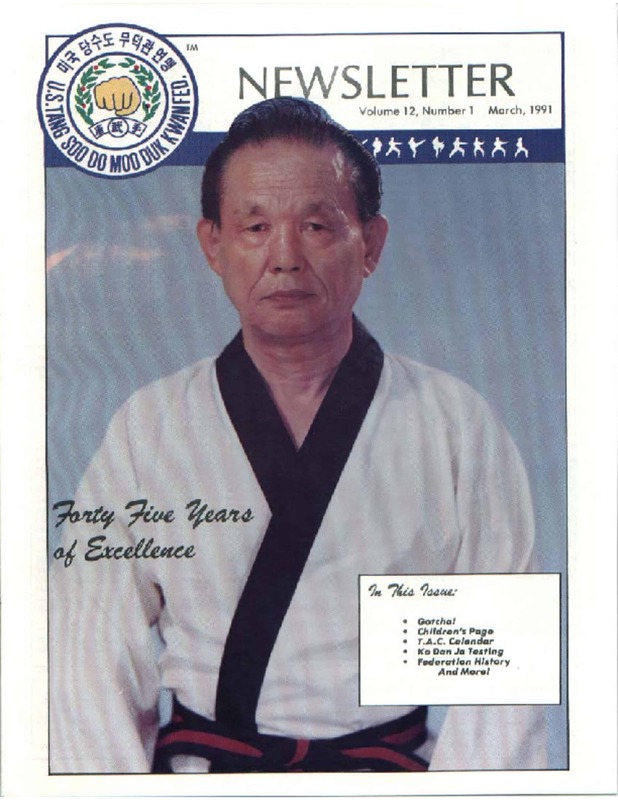 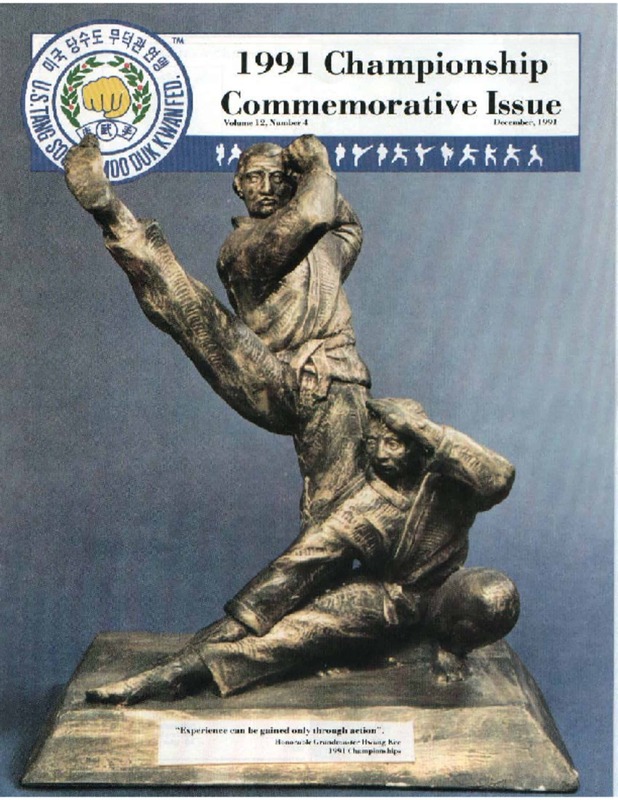 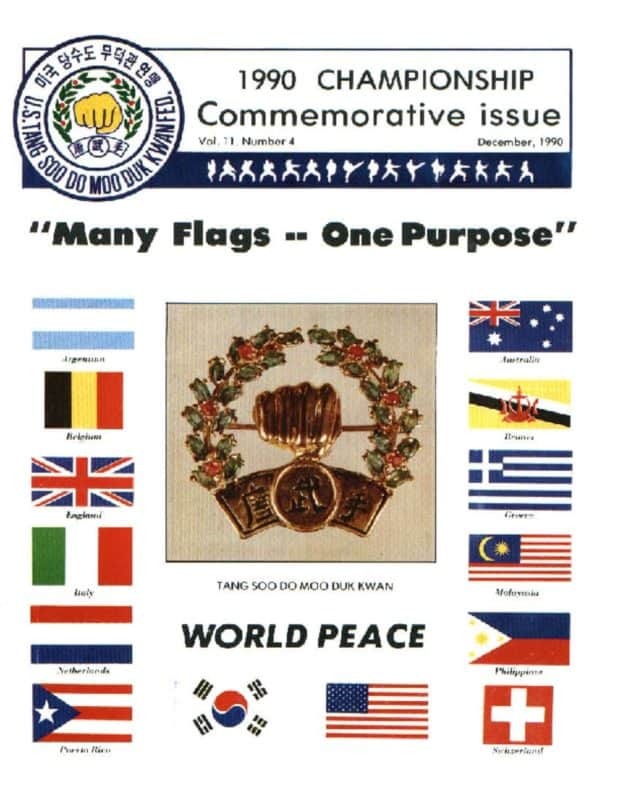 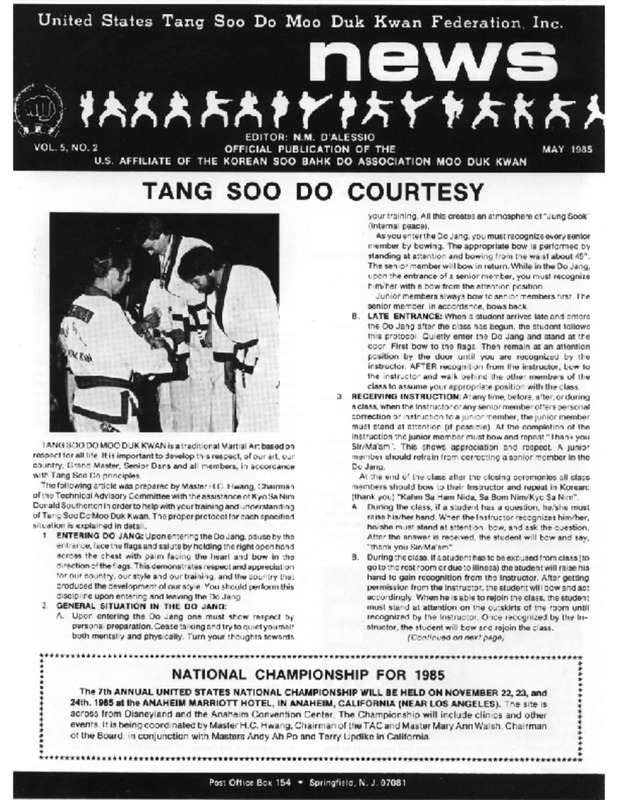 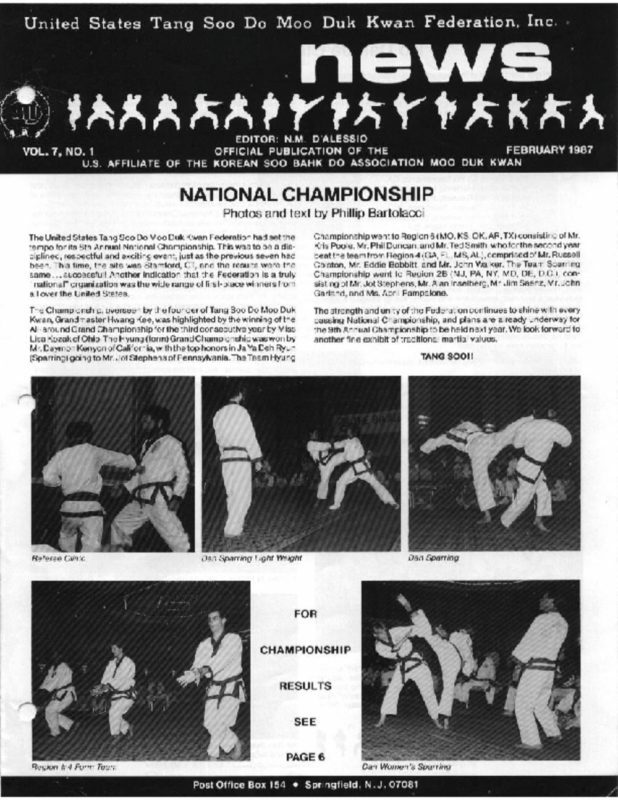 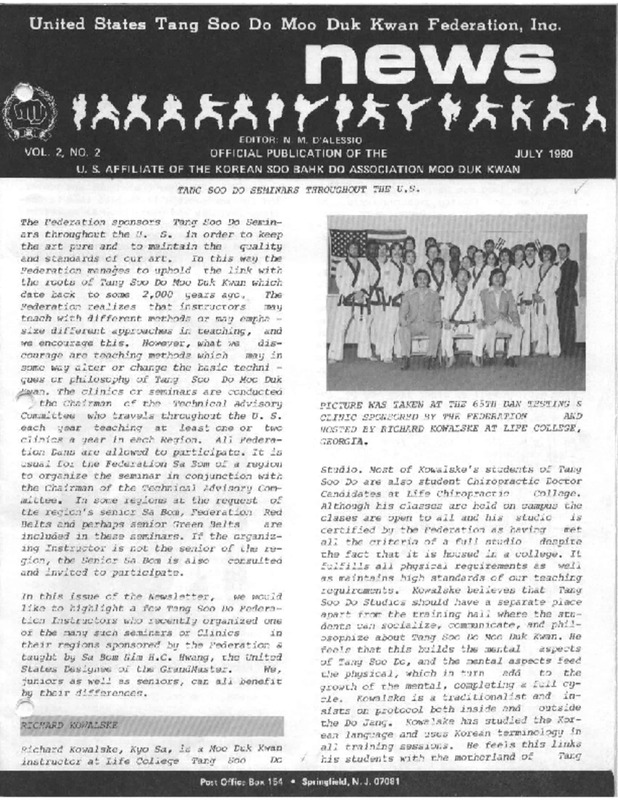 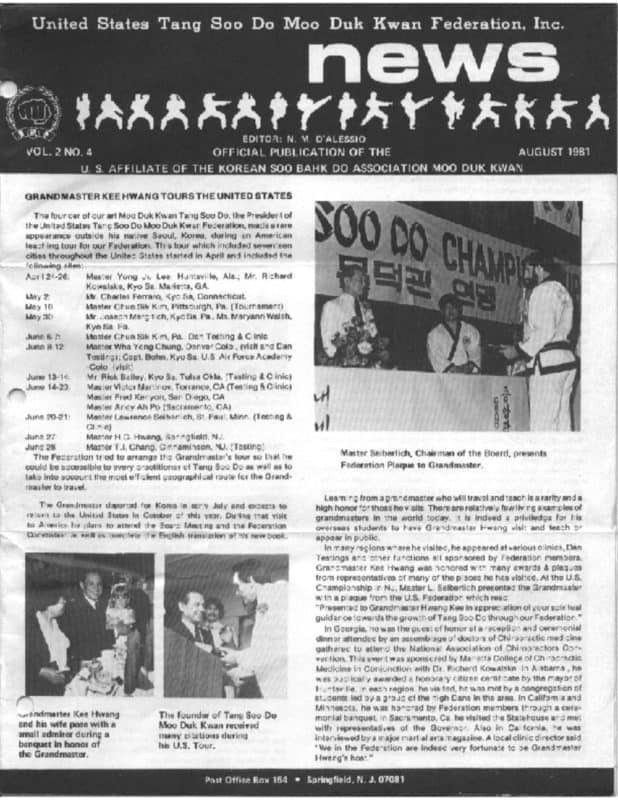 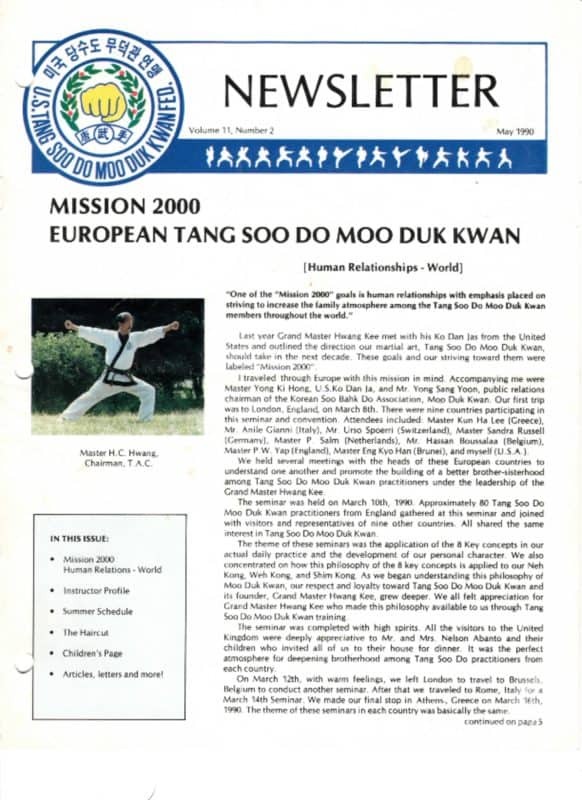 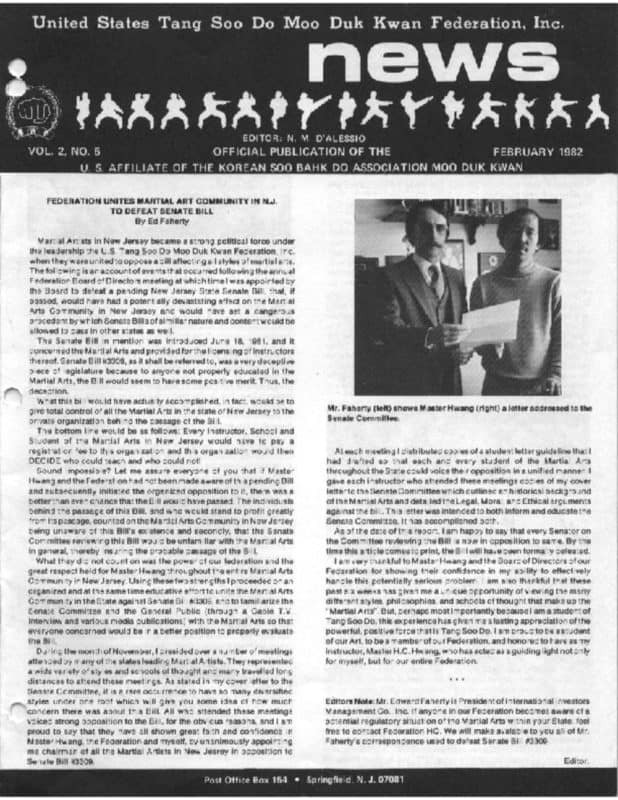 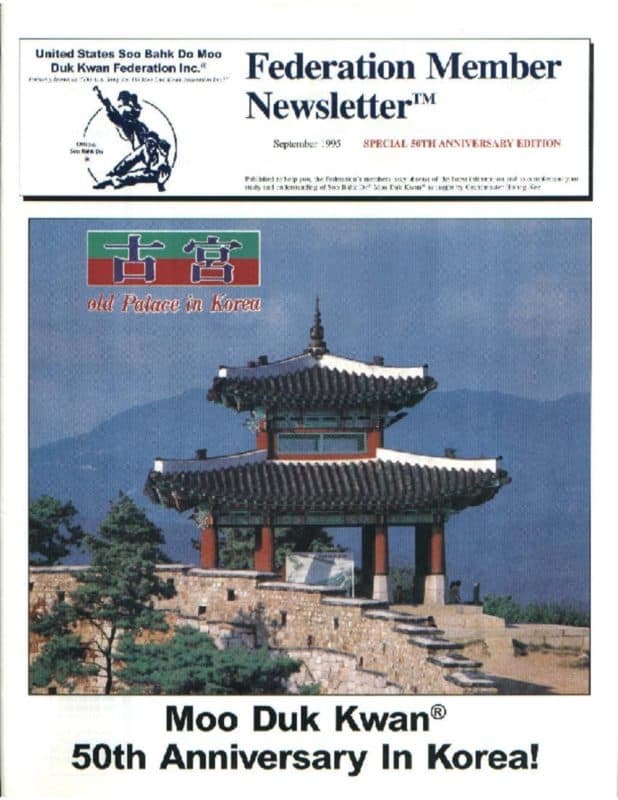 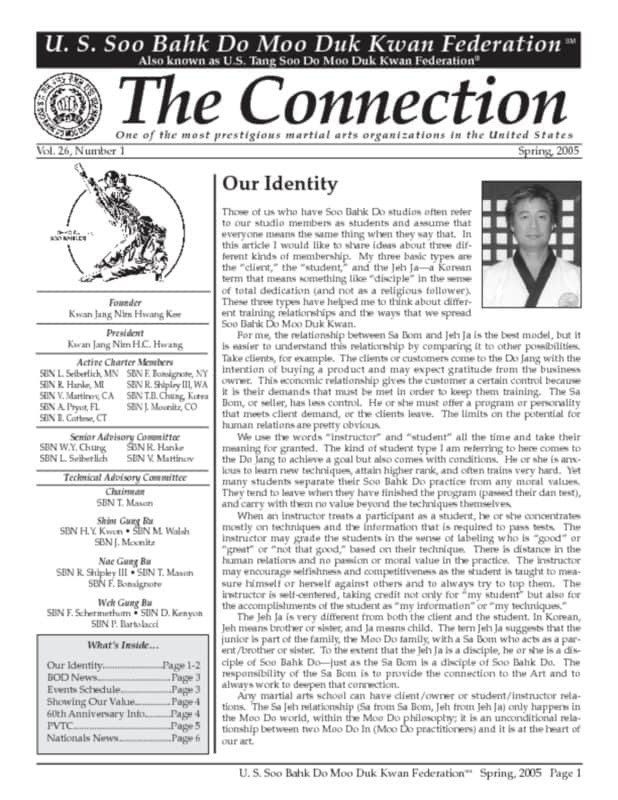 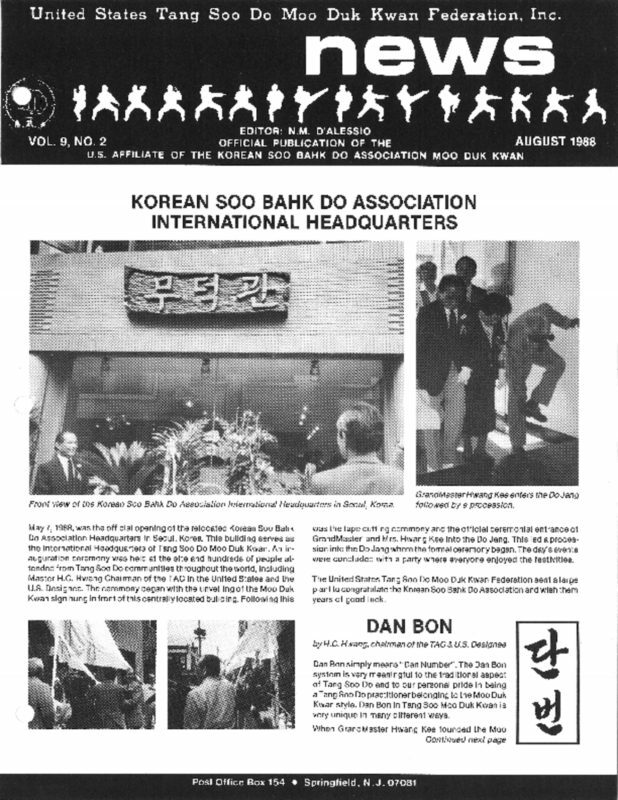 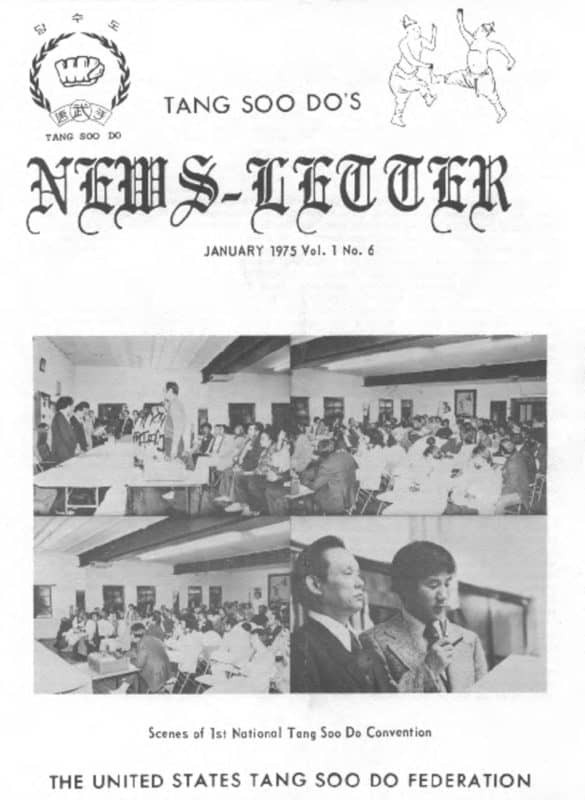 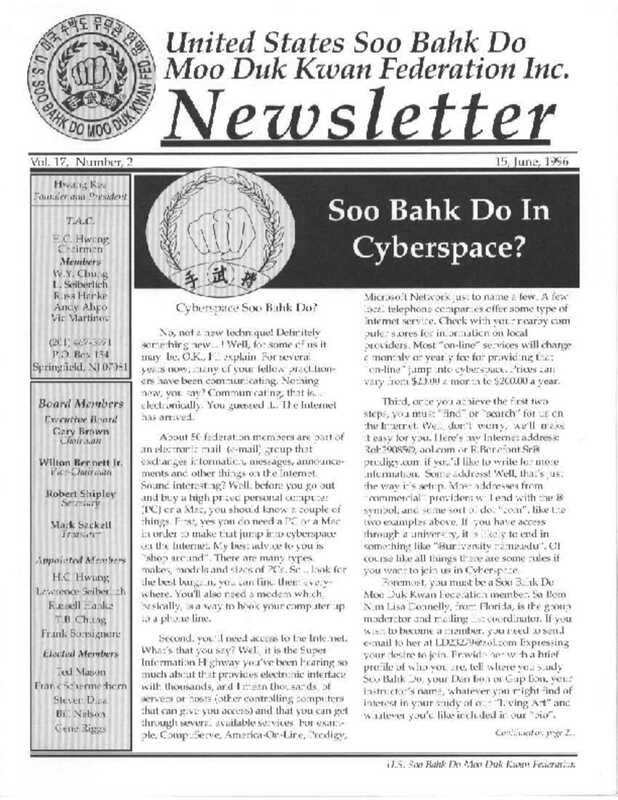 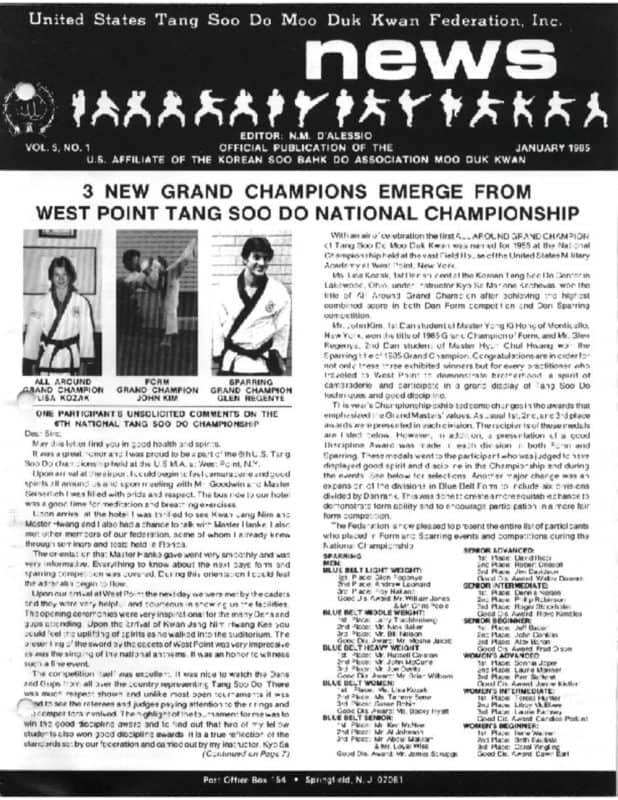 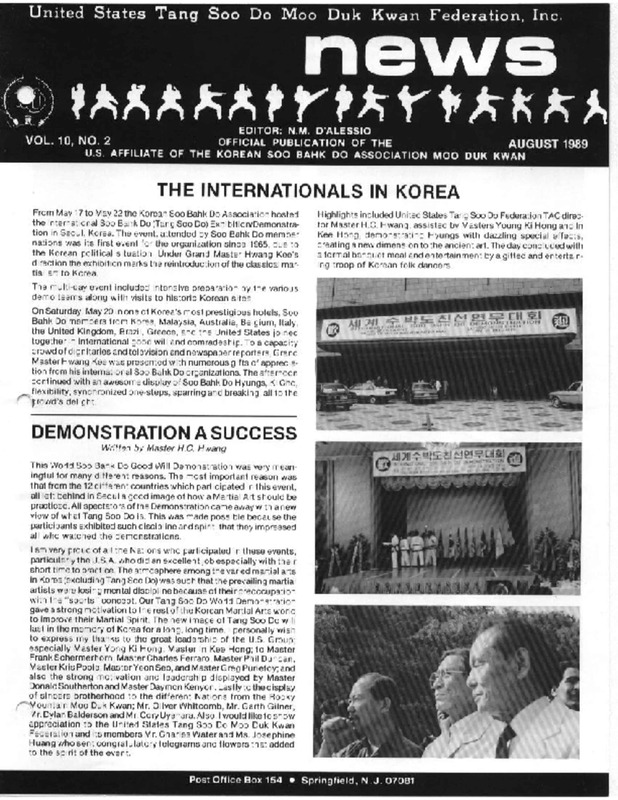 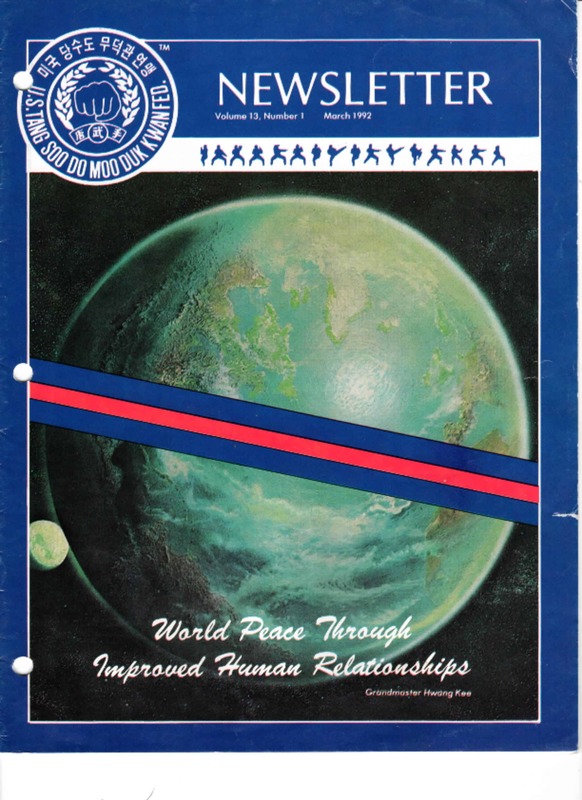 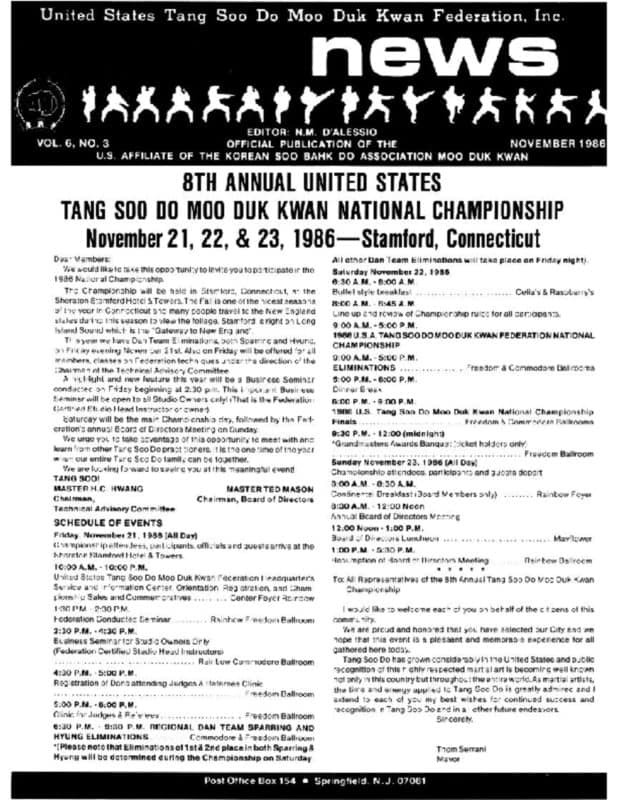 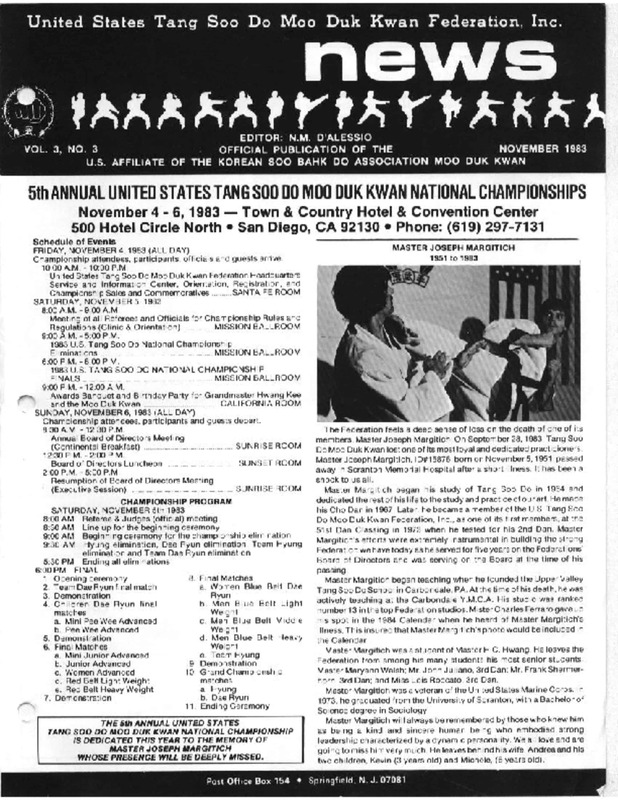 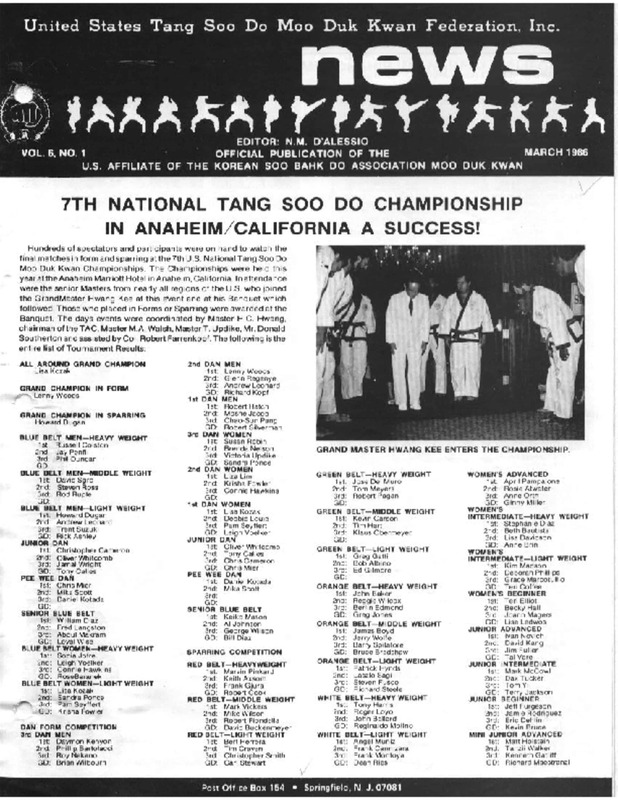 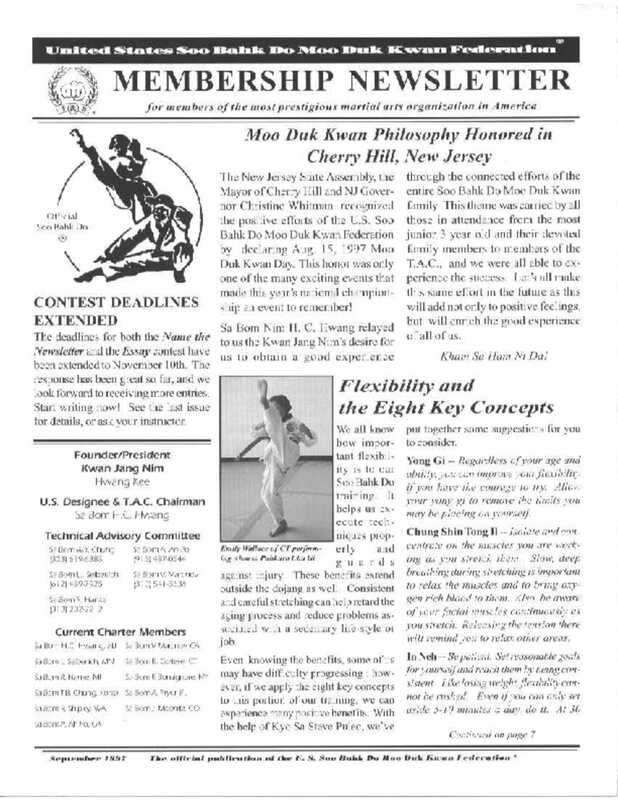 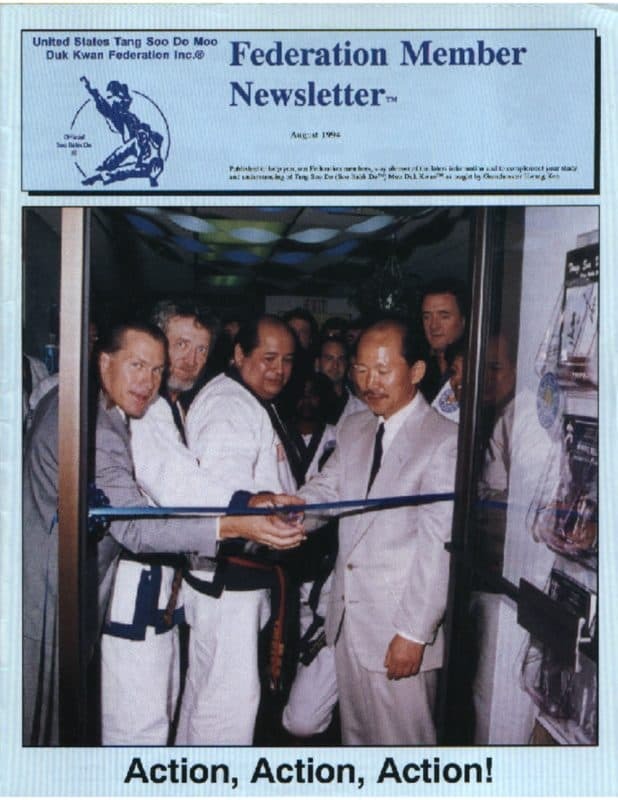 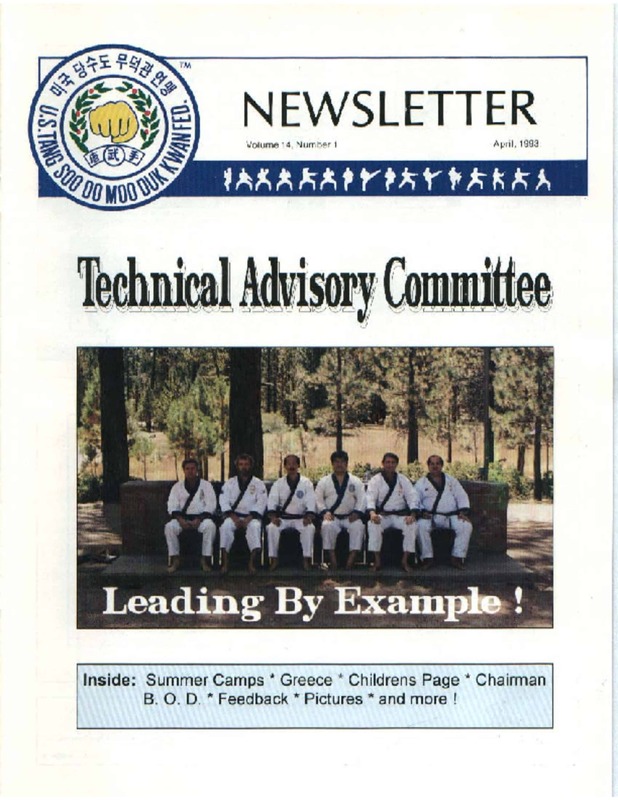 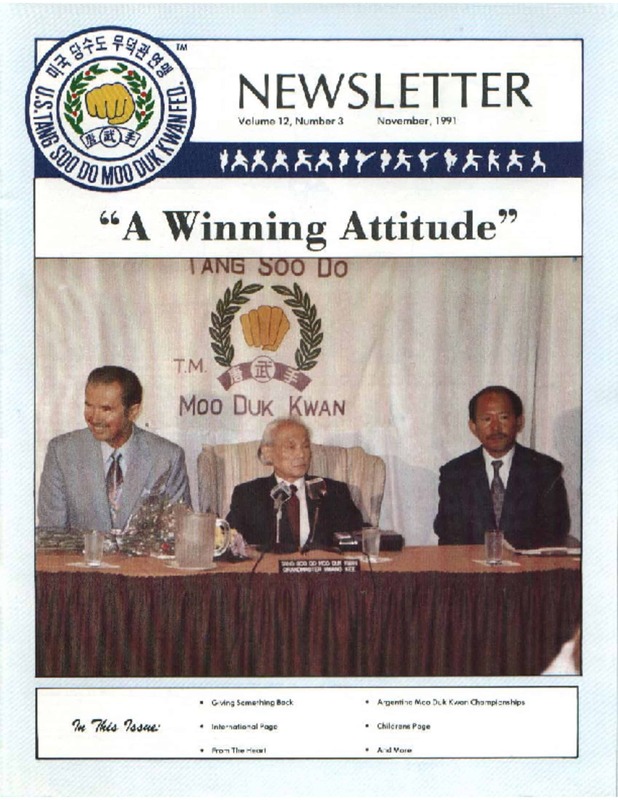 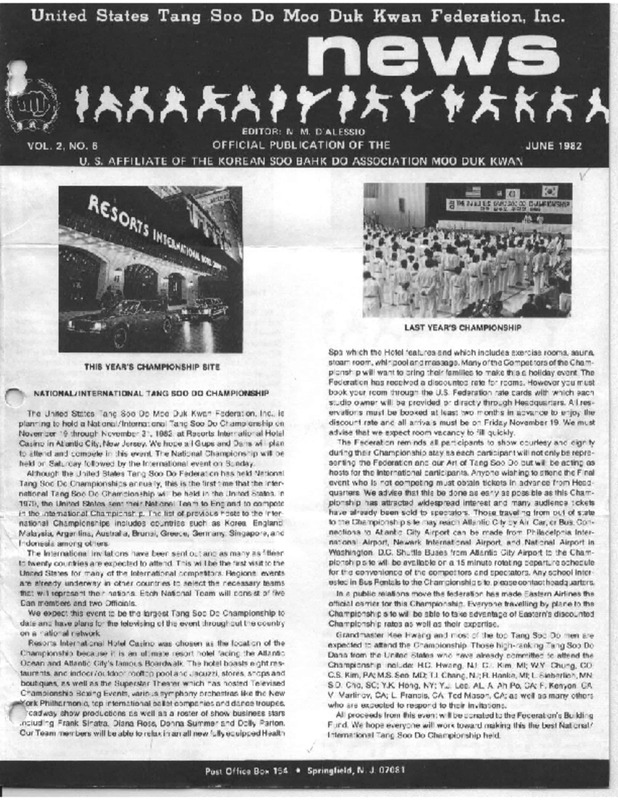 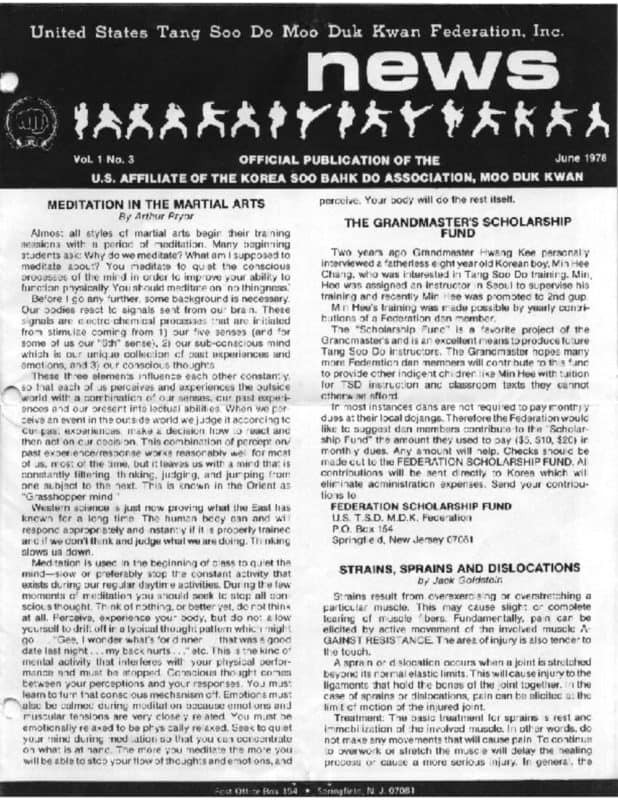 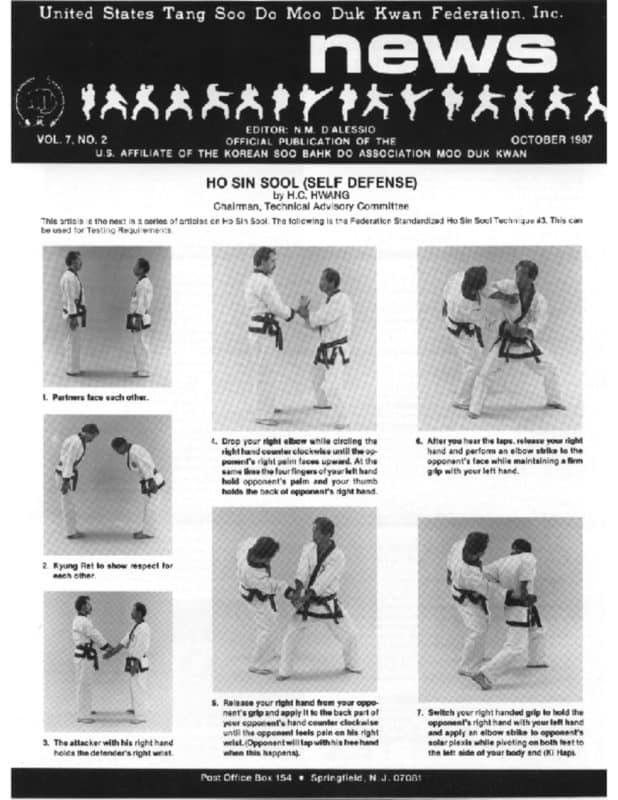 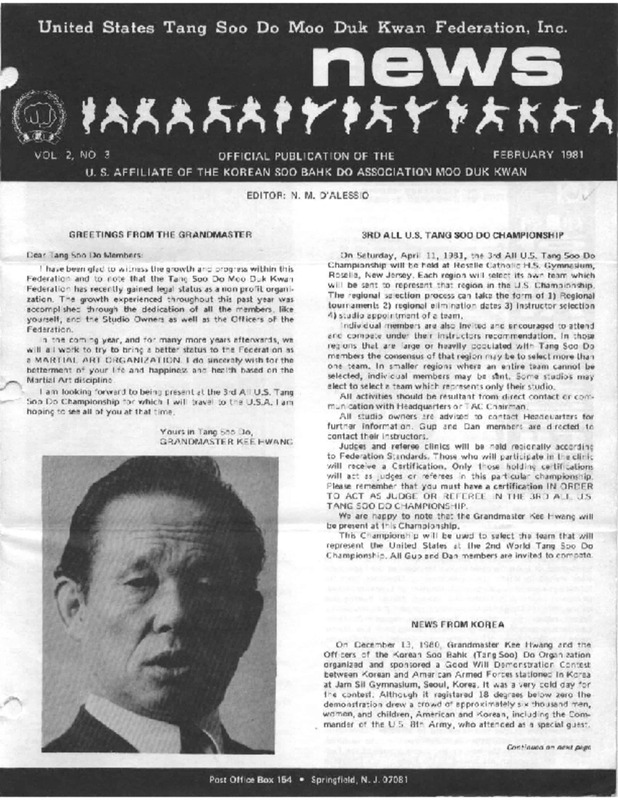 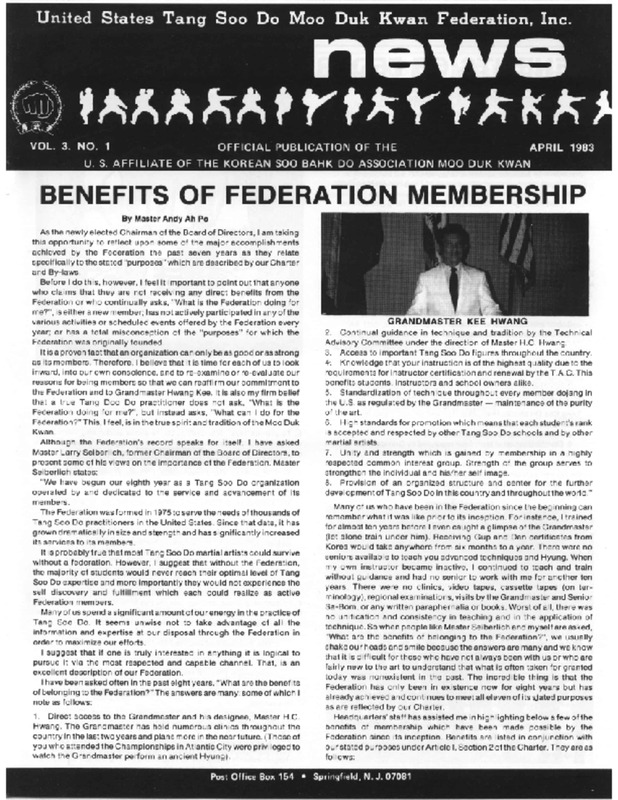 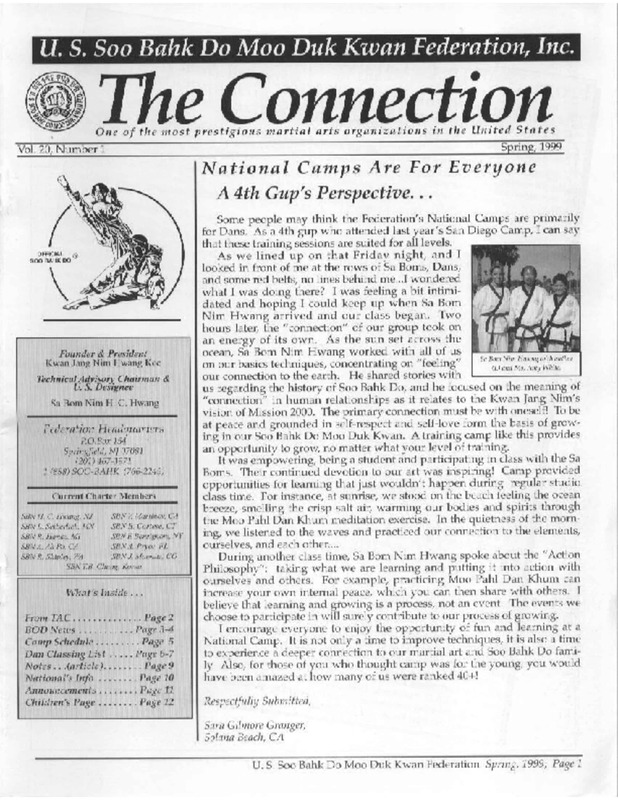 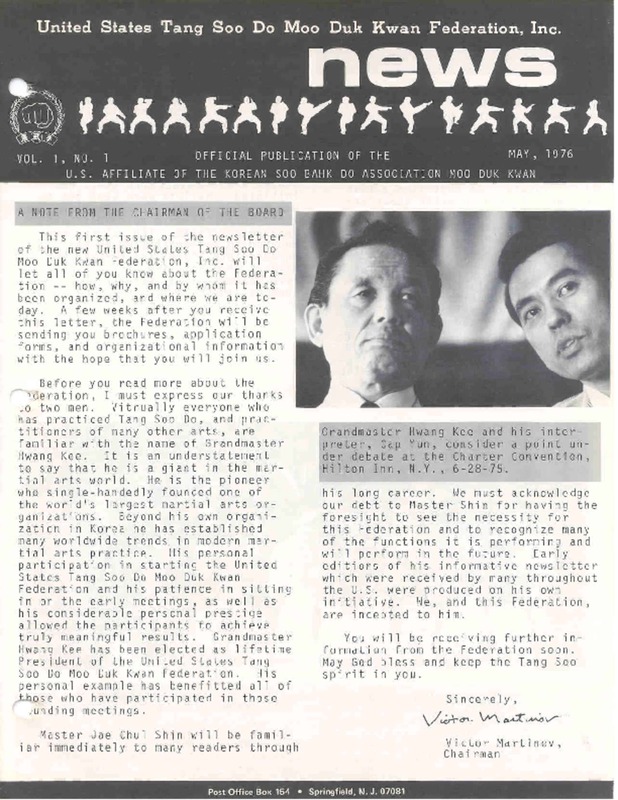 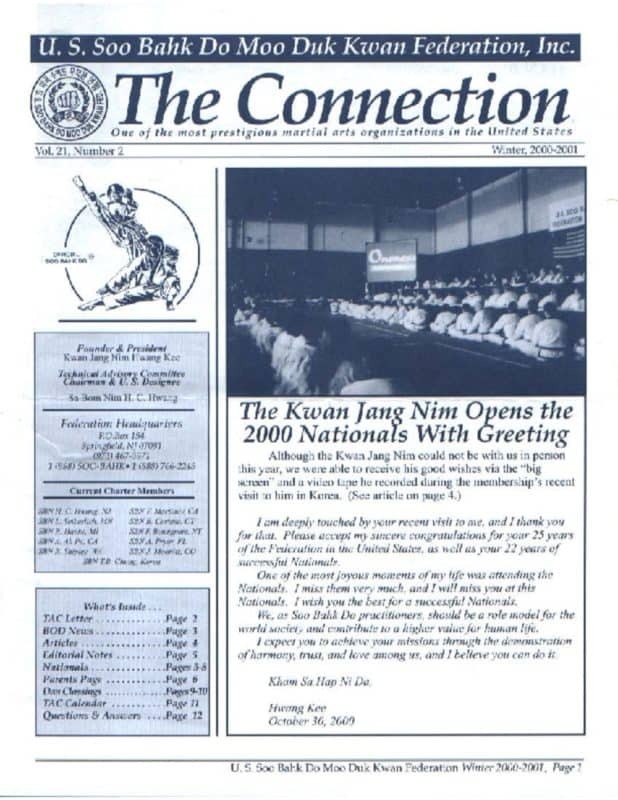 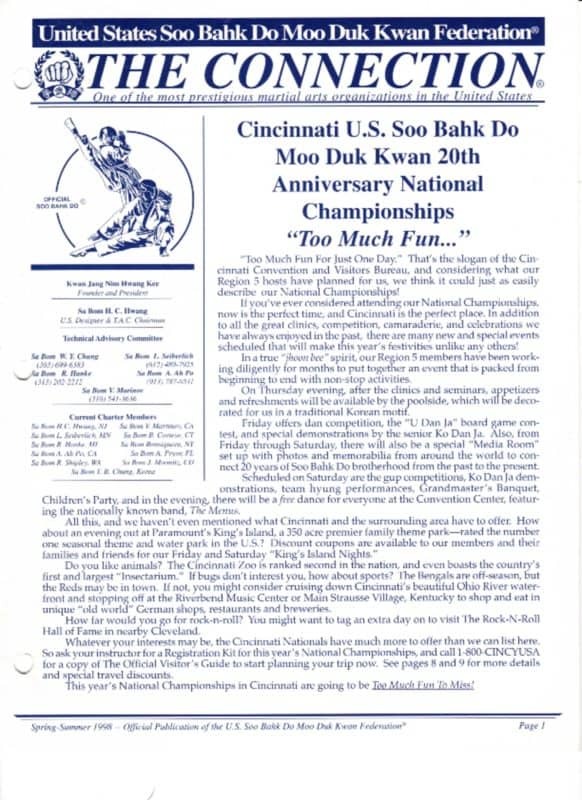 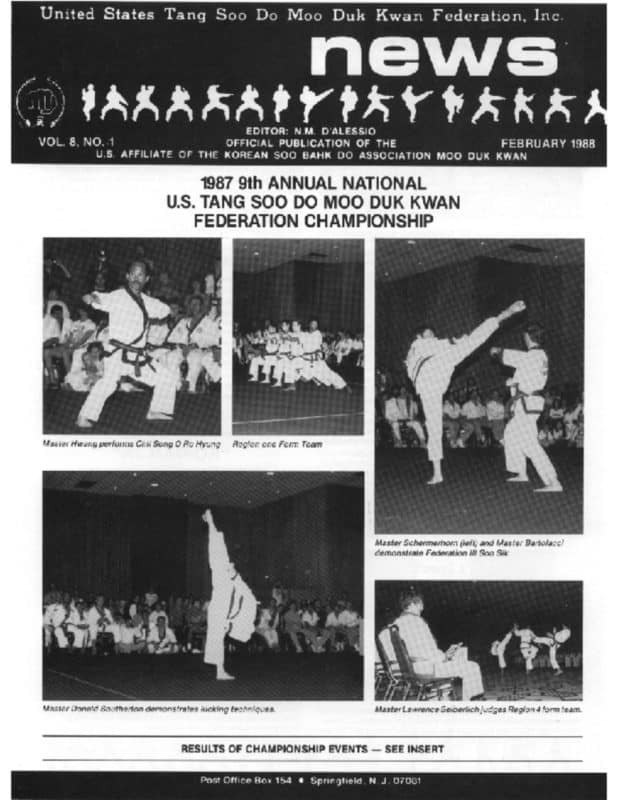 In 1973 a newsletter was published to help keep members informed about Moo Duk Kwan® matters as they spread all over the world from South Korea due to political pressures. 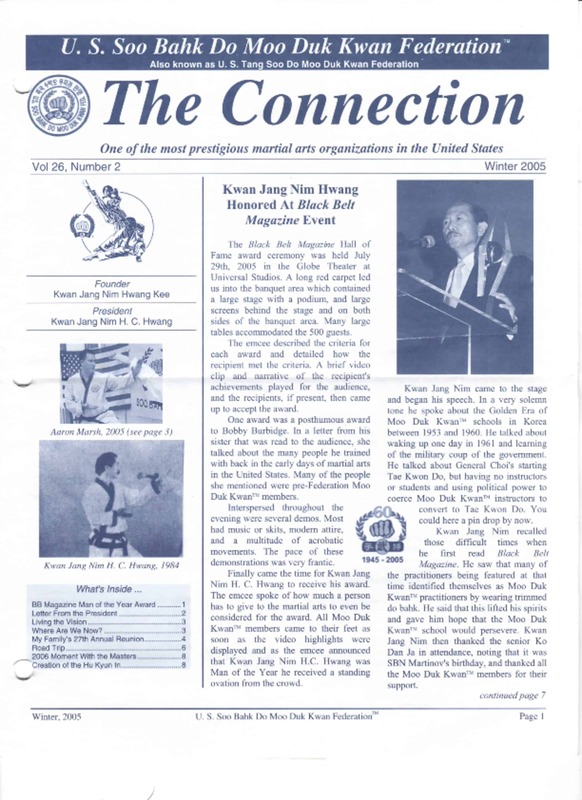 Today, modern technologies and social media make publishing and sharing information about our art almost immediate and global which was not as achievable with a newsletter. 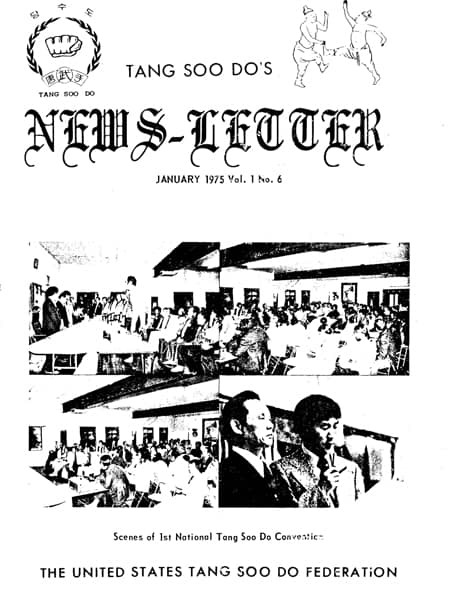 The 2017 News Media Team led by a group of members in Region 8 have taken personal action to help bring the spirit and intent of our historical newsletter back to life by using modern technologies for publishing and distributing valuable information about our art. 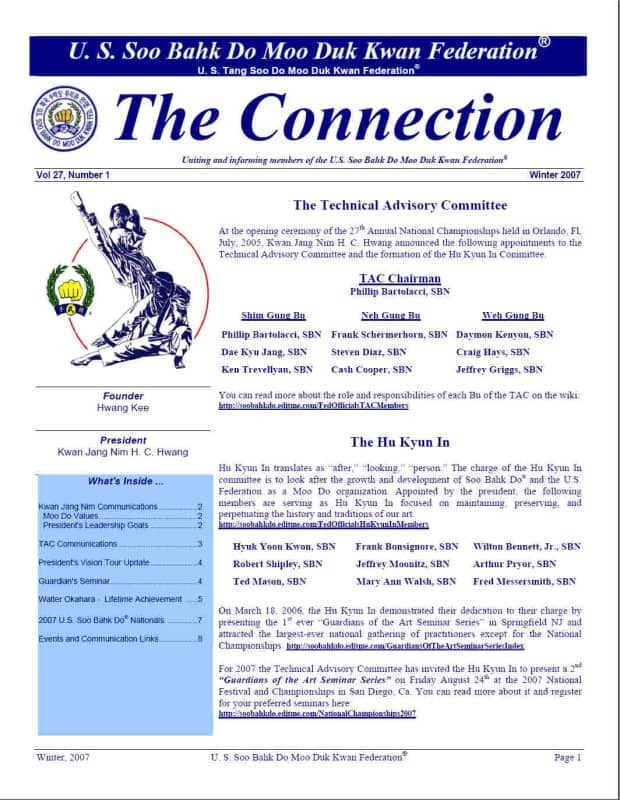 With the help of fellow member contributors the News Media Team plans to acquire and present helpful training articles, other educational articles and/or videos and to publish official Federation information, showcase member activity and document key historical occurrences. 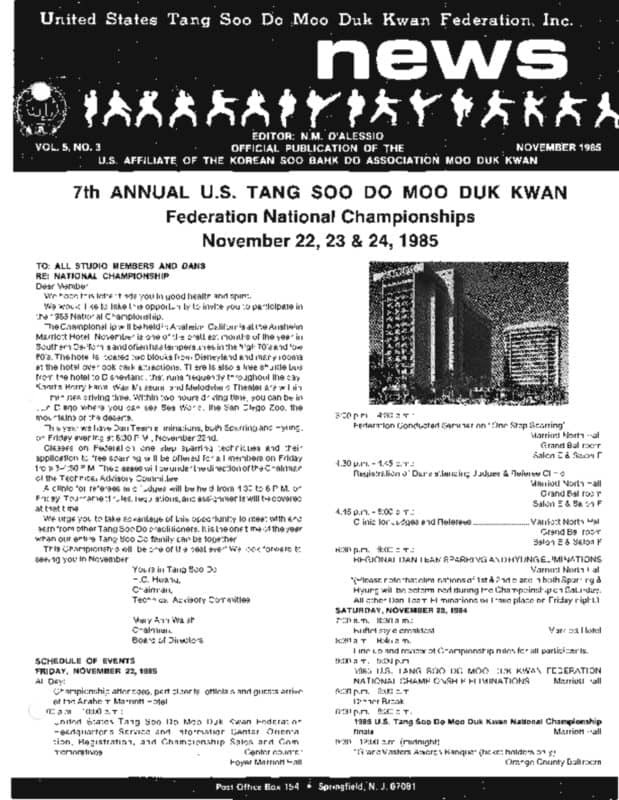 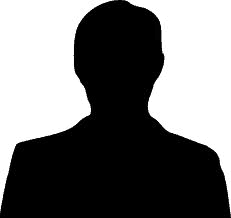 I look forward to the valuable and timely content they will present and the record of U.S. Federation member activity and Moo Duk Kwan® history that will be recorded by the News Media Team and presented here. 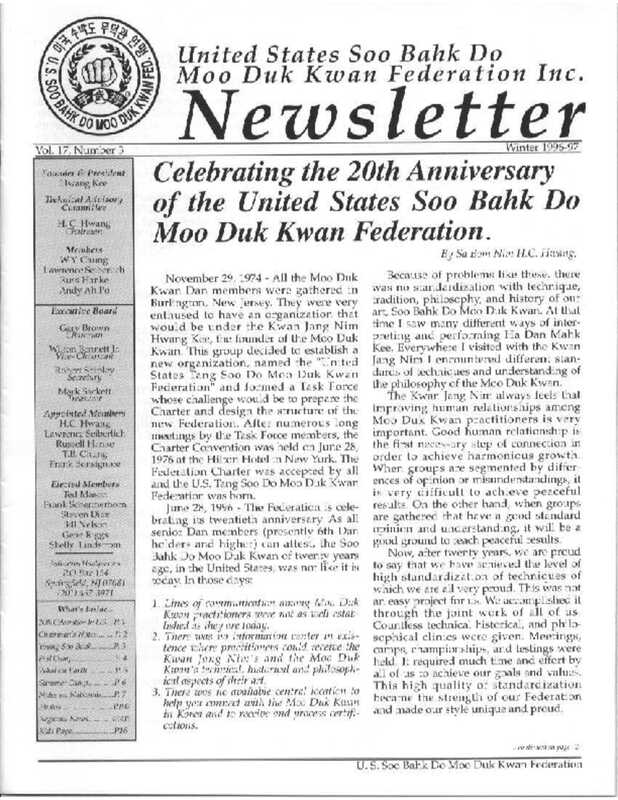 Oliver Whitcomb, Moo Duk Kwan Dan Bon 23268 is the owner/chief instructor of Sawtooth Martial Arts and has trained consistently in the art of Soo Bahk Do since 1979. 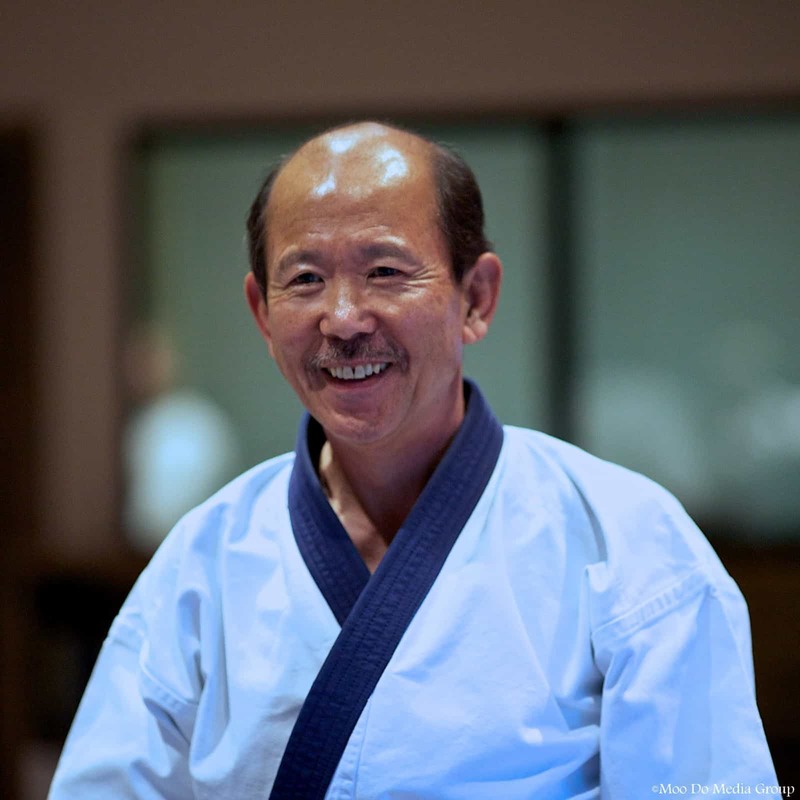 He is a full time instructor and manager of Sawtooth Martial Arts, teach martial arts to some schools, work with wounded veterans and teach them breathing and stretching as part of their healing and recovery, and put on extensive camps for kids of all ages and abilities. 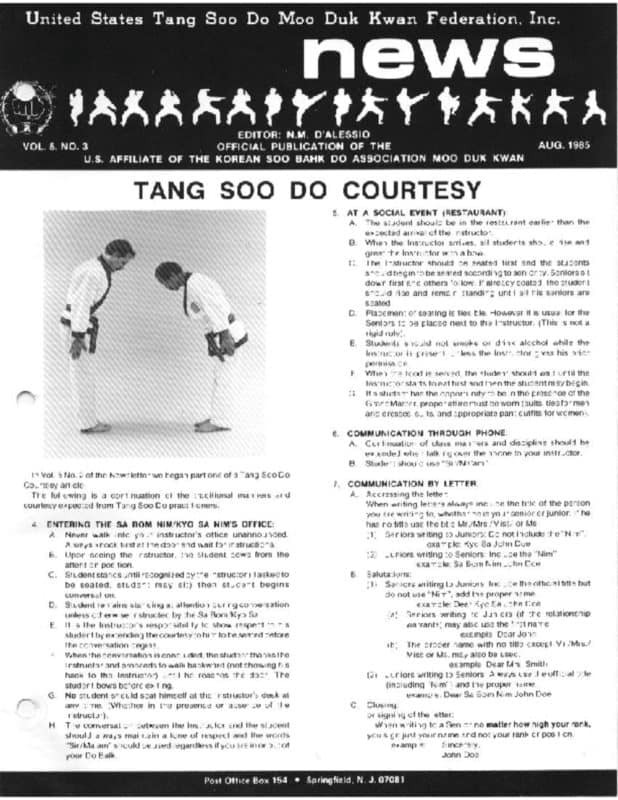 Areas of expertise include: martial arts, stretching, breathing, conditioning, archery, and conflict resolution.